For years now, the so-called experts have told you to avoid the foods you love. That you're supposed to ditch the weight room and jog your way to maximum fitness. And that testosterone—the hormone that makes you a man—is actually a problem for you, rather than the solution to your problems. In the meantime, American men have kept getting fatter and more frustrated. Which is why we've looked into all this, and from what we've learned, we can tell you—the know-it-alls are know-nothings. -explain how the male body differs in its nutritional needs from the female body—especially when it comes to the proteins, carbohydrates, and fats that are not bad for you. This much you know: What you've done in the past hasn't worked. Why not try it our way? You have everything to —and nothing to lose except your gut. Susan M. Kleiner, R.D., Ph.D. author of Power Eating The more we learn about hormonal control of the body, the more we understand that there's almost nothing physiologically the same between men and women. 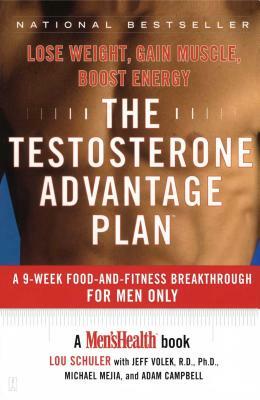 The Testosterone Advantage Plan, written just for men, promotes scientifically based approaches to fat loss and muscle gain.